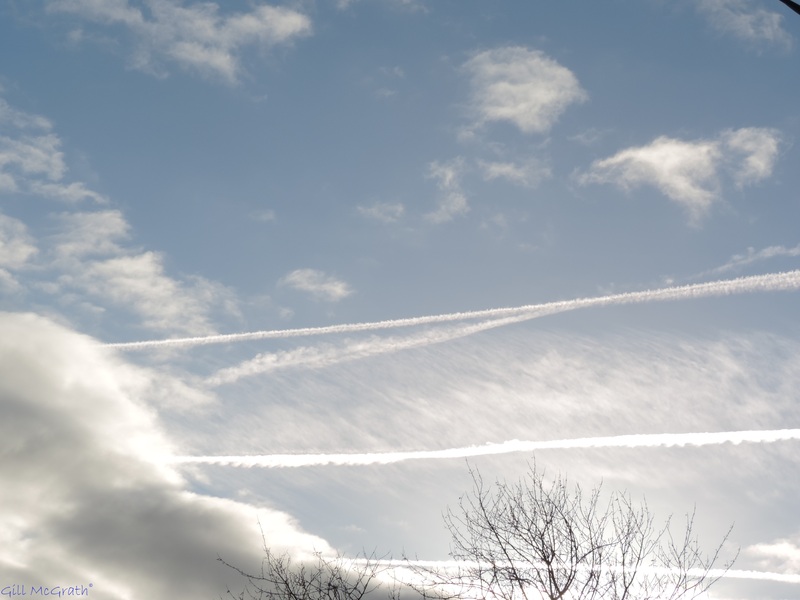 my morning lines against the sky in bright sun light…..
now zig-zagging through the trees! Is that the little prince up there? Gill McGrath© just now 10.30 am Happy Christmas!! reading list curl up with a good book! Yes! I can see him but he disappeared when I enlarged him too far.